Loving and Clean Pet & Housesitter! I love taking care of pets, plants, and making sure you are worry free while on Holiday! Since I've been away from my family for so long thought it would be a great opportunity to stay nearby, yet not too close ;) I am also pursuing a new career so being Local yet not attached, is just perfect at the moment. 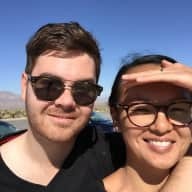 I have housesat for various friends, family & officially have a Couchsurfing.com profile where I stayed with strangers all around the world since 2009, while they were home or not. I'm happy to show you my 37+ positive references, my profile is PrettyStoked ! 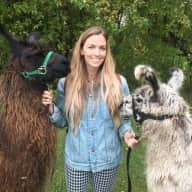 I've had 2 amazing experiences so far using this site, and loved those animals to pieces! I've grown up with cats & dogs, love cuddling and being around them in general, but I also understand their boundaries. 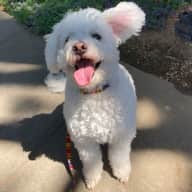 I'm very fit and must keep it up my, so walking your dog 3 or more times a day is a treat for me and them :) Picking up poop and cleaning litter is not a bother to me as well. My Driving record is clean, my criminal record is clean/non existent, my credit is excellent 801/ 850. I have a valid drivers license and am happy to drop/pick up from airport! BONUS: I'm very caring about people's property & the environment... I'll keep your space extra clean, and I will not run the water/take long showers or use electricity recklessly. I'm very aware , environmentally & safety conscious. Alina is wonderful!! 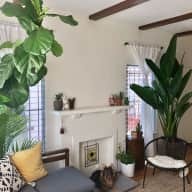 She went above and beyond in caring for our pets and our home and we thoroughly recommend her to anyone looking for a reliable, trustworthy and respectable housesitter/pet sitter. 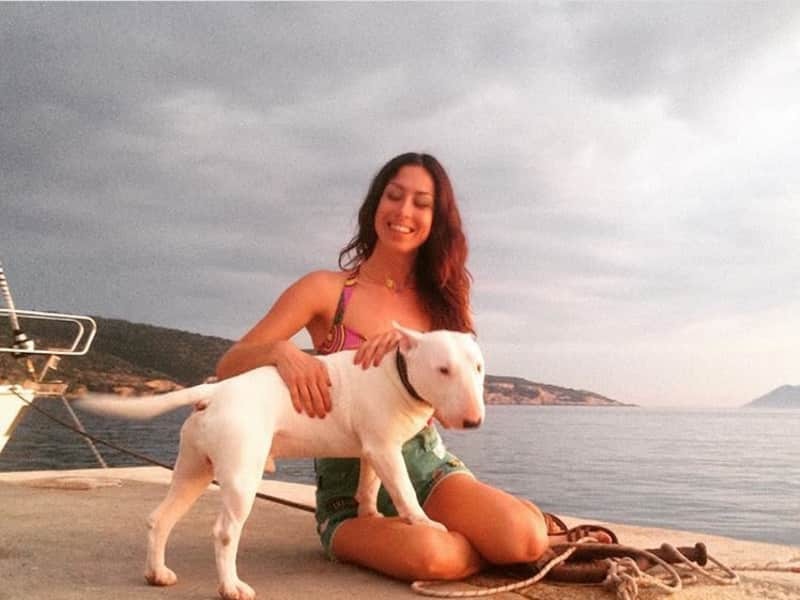 We enjoyed the frequent updates and photos of our pets from Alina and it was clear that our Dog Rocco loved her. Alina went out of her way to make sure Rocco and Milly were very well looked after and followed any instructions we had left. Additionally, the house was left in the most perfect state when we returned - it was really impressive! Alina was so nice to communicate with and left us feeling completely at ease from the first time we met her. The bar has been set - I am hoping any future sitters are as fantastic as Alina. Where do I begin? Alina was by far the best dog and house sitter I’ve ever had. I knew from our phone call that I could trust her and she would do a great job, but it wasn’t until I was away that I realized her excellence. Alina took Foxy’s care to the next level when she made it a point to train and socialize her around other dogs. Previously, Foxy has been aggressive on leash and generally doesn’t like other dogs. However, after Alina’s care and training during her stay, Foxy is now social. Alina was extremely communicative during her stay, texting photos and letting me know what she and Foxy were up to (shopping, long walks, drinks with a friend, eating treats, taking a bath) every few days. Not only was she communicative about Foxy’s care, but she was communicative about things happening in my home. If something broke, she fixed it. If the power went out, she let me know. I came home to a house cleaner than when I left it. She is simply the best. I cannot say enough wonderful things. Alina has housesat for us numerous times and keeps the house nice and tidy, she even cleans it up better than we left it! She has taken great care of our dog Bailey, keeping his schedule at the local dog park & lots of walks. She even has dropped/picked us up at the airport! Very Lovely and will have her house sit again and again as well as have recommended her to neighbors. 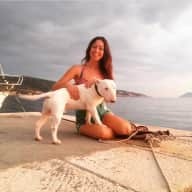 Alina was amazing when we needed a house sitter over a long getaway. My husband and I needed someone responsible to keep an eye on our mail and as we had important documents on the way while we were out of town. She alerted us immediately and sent us copies at our request. Not only that but she watered & talked to the plants, and gave the keys to my cousin (at our request) when she needed to enter our flat. Though we didn't have any fur babies for her to look after, we wouldn't hesitate to leave them in her care.